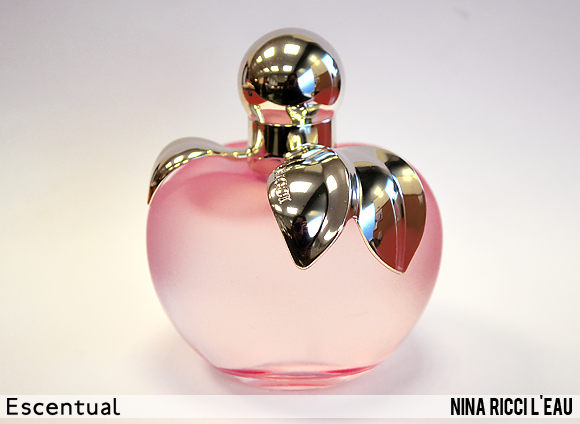 Since the Nina fragrance first launched in 2006, it’s popularity has spawned a whole family of reinterpretations. From completely reworked versions of the scent to variations in concentration, there’s a whole spectrum of scent to be explored. The latest addition to the family is Nina L’Eau, a light and charismatic fragrance that refreshes the sweetness of the original very nicely indeed. There is a micro-trend (perhaps not surprising considering the time of year) for romantic, cherry blossom-like fragrances at the moment, such as new release Van Cleef & Arpels Feerie Spring Blossom, and the upcoming Guerlain La Petite Robe Noire Eau de Toilette and Escada Cherry In The Air. This scent is characterised by its bright and breezy character; it’s fruitier than the original fragrance, but in a more linear way. Clean and bright apple, grapefruit and mandarin mingle with the sharpness of neroli in the top notes, with just hints of the sweet cherry heart peeking through. As the fragrance progresses, it becomes sweeter and more voluptuous, with rich gardenia and more of the distinctive cherry note. All of this built atop the characteristically sweet and musky base notes of the original Nina. On my skin, the scent lasts for roughly 3-6 hours, but as it is an eau fraiche, this is to be expected. The musky base notes eke out the longevity very nicely, and it lingers subtly on the skin for a long time. 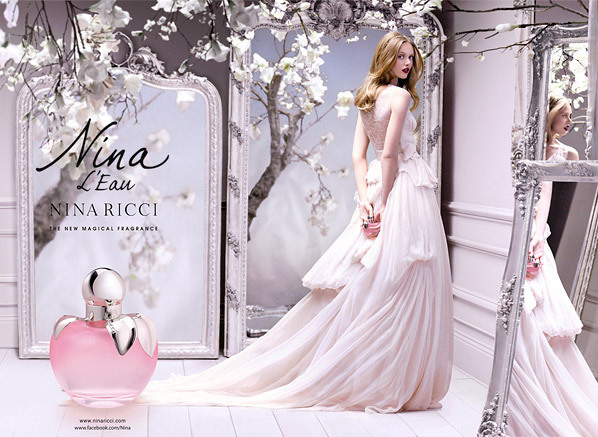 This is a lovely fragrance, incredibly delicate and feminine. VC&A took some of the most beautiful springtime essences and mixed them into one. I think I might like it even better than the classic version, would love it if they made this in EdP as well. Wears very well for a EdT, about 10h, but it's to be expected from such a brand. This entry was posted on Thursday, February 7th, 2013 at 12:34 pm and is filed under Fragrance, New products, Tried & Tested. You can follow any responses to this entry through the RSS 2.0 feed. You can skip to the end and leave a response. Pinging is currently not allowed.